Chord Company Chameleon Plus review | What Hi-Fi? Chord Company's Chameleon Silver Plus has been reborn as the ChameleonPlus. This interconnect now applies lessons learned from Chord's £1000 Indigo Plus. 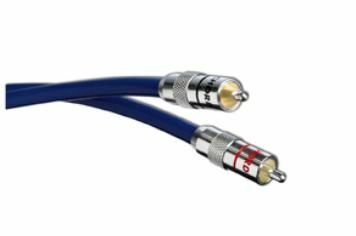 As well as standard RCA phono connections, you can specify fully balanced XLR plugs too. The ChameleonPlus infuses music with a real sense of get up and go. It sounds clearer and more detailed than the older Silver Plus. There's a vibrancy and attack to the sound, which enthuses and entertains the listener. Bass sounds beefy and taut, while vocals and high frequencies are expressive without becoming shouty.